From recycling programs to waste audits, there are many strategies for cutting down on what your company tosses into its dumpsters in Atlanta, and there are several good reasons for you to improve your company’s waste management system . The most obvious reason to make smart changes in the way your business manages and disposes of waste is that doing so can save you money. 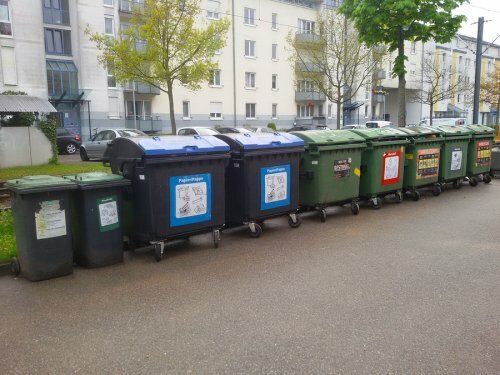 Additionally, by conducting a waste audit to learn what is filling your dumpsters, you can discover what types of waste and how much of each your company is producing, allowing you to make strategic changes. Also, better waste management practices mean that your company’s operations can have less of a detrimental impact on the environment, for example, by using fewer resources and producing fewer greenhouse gas emissions. Finally, making your business more environmentally friendly in this way allows you to create a greener image for your business that both your staff and customers can appreciate. Recycling in the workplace can promote a greener image for your company, support employee satisfaction, and reduce waste management costs. If you’re in the process of organizing an office program for recycling in Atlanta , then read on for tips on getting your staff on board. If your team members don’t fully understand your new office recycling program, then you may have trouble getting them to use it. Also, without the proper training and instruction, your staff may throw trash into the recycling bins or mix up materials, for example, by putting food waste or aluminum cans into a plastics recycling bin. For these reasons, setting aside time for training that is dedicated to how to use the recycling system can be an excellent way to get your team on board with the program. 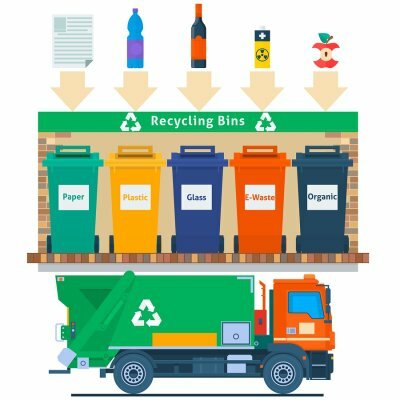 If you’re concerned that starting a multi-stream recycling system for your office will be too great of a leap, then learn if single-stream recycling, in which all recyclable materials are collected together instead of in separate bins, is an option for your office. 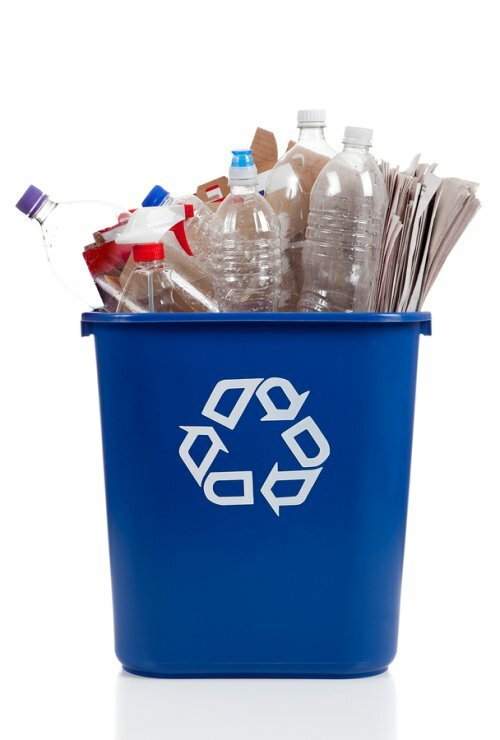 In addition to teaching your staff how to use your office’s recycling system, you can help encourage them to make the most of it by educating them on the benefits of recycling. By informing employees why recycling is important for reducing waste and greenhouse gas emissions, as well as how it can save the company money, you can provide your team with greater motivation to embrace the new recycling system. Finally, while training and education are essential for starting a recycling program the right way, you may help encourage long-term adherence among your staff by posting informational signage in your office. For example, you can add posters on or near each recycling bin that describe what materials should be placed in each and what items belong in the waste or compost. Finally, to help encourage employee compliance, consider posting informative signage about how recycling benefits everything from the environment to the company. Are you interested in taking advantage of the benefits of organic food recycling near Atlanta , but you wonder what happens when your leftovers go into a food recycling bin instead of the dumpster? If so, then watch this video to discover how food can be converted into fuel. When food waste is placed in an anaerobic digestion waste management system, it can be converted into a gas called methane, which can be harnessed and then used for fuel by power plants. To make the food recycling process more efficient and versatile, companies are researching ways of converting food waste into ethanol, which is a more useful form of energy than methane, and scientists are working on new methods using food waste and other resources to create energy. Smelting aluminum from virgin materials demands a lot of energy, making aluminum recycling a conservative and energy-efficient option. Watch this video to get a glimpse of what happens to the aluminum cans that you toss into your recycling bins in Atlanta . Americans generate more than one million pounds of aluminum waste every day but, for most of it, this won’t be its first time around. Because metallic aluminum is a very stable material, it’s incredibly recyclable and can be melted down and reused indefinitely. In fact, about 2/3 of all aluminum that has been made is still around, and an aluminum can that you toss in the recycling bin can be back in your fridge containing a new beverage in just 2 to 3 months. Did you know that recycling everything from food to electronics can help reduce greenhouse gas emissions? While recycling technology and waste disposal practices continue to improve, many people aren’t aware of the ways that waste management can affect the environment. If you’re interested in embracing better waste management in Atlanta and want to know more about its effect on the environment, then keep reading for a quick overview of greenhouse gases. 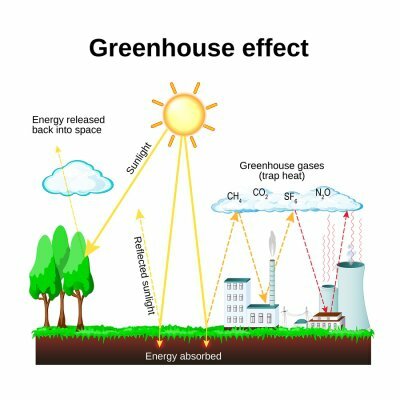 Any gas that causes heat to be trapped in the earth’s atmosphere is referred to as a greenhouse gas. Some of the most prevalent greenhouse gases include carbon dioxide, nitrous oxide, and fluorinated gases. The greater the rate of emissions for a particular greenhouse gas, the higher its concentration will be in the atmosphere. Different gases remain in the atmosphere for different lengths of time, and the warming effects of various gases can differ. According to the U.S. Environmental Protection Agency , some of the economic activities that most contribute to the production of greenhouse gases are transportation, electricity production, industry, and agriculture. Also, most of these greenhouse gas emissions are in the form of carbon dioxide, followed by lesser amounts of methane, nitrous oxide, and fluorinated gases. Climate change is a natural phenomenon, but the greenhouse gases produced by human activity may drive global warming in an unnatural way. Through activities like raising livestock, driving cars, using energy, and managing waste poorly, human activity can produce greenhouse gases that may promote global warming. While climate change is a global issue, there is plenty that you can do in your day-to-day life to help minimize your contribution to greenhouse gas emissions. Some examples include recycling, reducing and reusing, choosing energy-efficient home appliances, switching to LED light bulbs, carpooling, and buying products that have less packaging. Other ways to do your part include driving an electric hybrid vehicle, telecommuting to work, and turning the thermostat up or down by a few degrees when you go to sleep or leave the house for the day. While many people are familiar with the benefits of recycling materials like metal, glass, and plastic, fewer realize that unwanted food can be repurposed, as well. If you’re searching for ways to reduce your establishment’s waste in Atlanta, then read on to learn about the advantages of recycling food instead of throwing it in the trash. When you implement a food recycling program for your business, it makes sense to conduct a waste audit, as well. Waste audits allow you to identify areas for improvement and which foods are being wasted most. For example, a waste audit may let you know that one of the items on your restaurant’s menu should go, as you frequently toss out the ingredients that you buy for it. Or, you may learn that your employees could be using ingredients more efficiently, allowing you to implement a new training program that may cut down on your business’ food waste. By conducting a waste audit and learning where food is being wasted unnecessarily, you may be able to reduce what you spend on dumpster services. Any business that uses food on a regular basis, such as restaurants, grocery stores, schools, and food distributors, can make a beneficial impact on the environment by adopting a food recycling program. 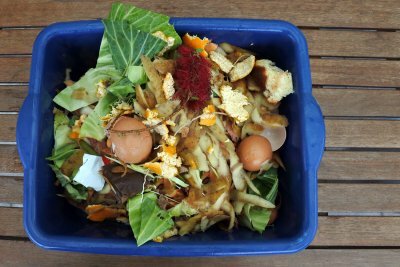 Food recycling serves a number of valuable purposes, allowing the waste to be repurposed in a variety of ways such as for feeding livestock or creating compost. Also, the anaerobic digestion process that is used to recycle food can be used to generate energy and reduce the need for electricity production. Adopting a food recycling plan is an excellent way to boost your establishment’s reputation. By demonstrating that less of your food waste ends up in the dumpster and that more of it is being put to good use, you can generate good press and an environmentally friendly image for your company. Implementing an effective system for industrial waste management in Atlanta is important for ensuring that your company practices responsible, efficient, and environmentally-friendly waste disposal. To learn more, read on to discover the answers to common questions about industrial waste management. Industrial waste refers to non-hazardous waste materials that are generated through industrial activity. Some examples of activities that produce industrial waste include construction, textile manufacturing, and automotive maintenance. Why does industrial waste management matter? Proper industrial waste management is important for protecting the environment and human health. Also, improving your waste management practices through recycling, zero waste initiatives, and other measures may reduce your regulatory and business expenses. What types of sites require industrial waste management services? Some examples of locations that typically need industrial waste management include distribution, food processing, automotive, and manufacturing facilities, as well as warehouses and appliance manufacturers. How can I reduce my facility’s need for industrial waste management? 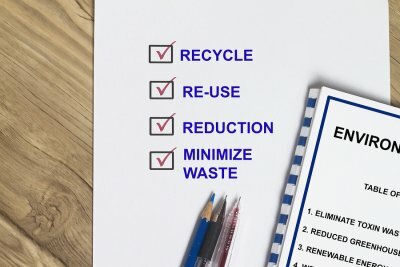 There are several steps that you can take to cut down on your facility’s waste management needs. For example, you can upgrade to newer technology that produces less waste, ensure proper training for your employees, maintain your facility and equipment, and implement a recycling program. Also, you can work with your waste management service to track your facility’s waste generation and identify possible areas for improvement. A zero waste initiative is a detailed sustainability plan that industrial facilities can implement. 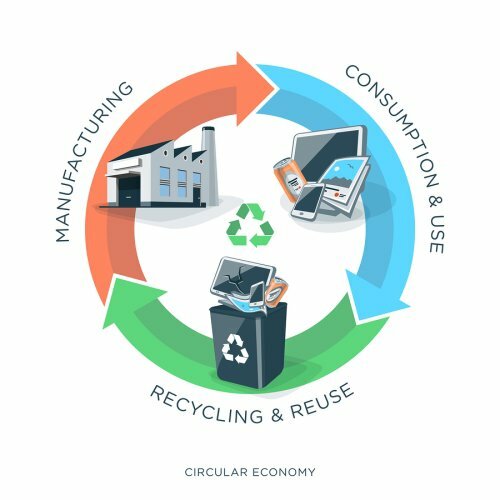 These initiatives offer companies a number of potential benefits, such as lower material and manufacturing costs, less waste production, and reduced waste management costs. More notably, beginning a zero waste initiative can give your company a greener image, as these plans are designed to help facilities operate in a way that is environmentally responsible and sustainable. If you’re interested in beginning a zero waste initiative, then contact your waste management partner to learn about their sustainability services. Did you know that something called waste analytics could improve the efficiency of your company’s waste management near Atlanta? Whether you want to save money on trash pick-ups, find ways to reduce waste, or enhance your business’ green image, waste analytics can help. 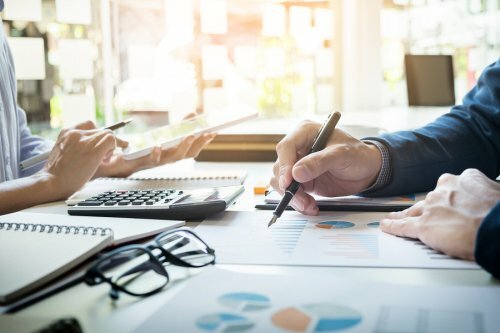 Waste analytics refers to data about waste generation, and this information can help you understand how your company impacts the environment and what your options are for making improvements. For example, by having concrete information about how much waste is produced, you will be in a better position to determine areas for improvement. Also, knowing what type of waste your business generates can help you decide if you would benefit from a commercial recycling program and, if so, what kind. Finally, by having a better idea of how much waste your company generates in a specific period, you can avoid scheduling trash pick-ups more frequently than you need them. For these reasons, there is a good chance that your business could benefit from waste analytics. Today, many businesses are choosing to go green by beginning recycling initiatives. If you’re planning to start a company program for recycling in Atlanta , then you can benefit from understanding one of your potential options, called single stream recycling. Any recycling system in which all recyclable materials are collected in a single bin is referred to as single stream recycling. This option differs from other methods of collecting recyclables that use separate bins for different types of materials, for example aluminum, glass, and plastic. When it comes to beginning a recycling program for your company, the single stream method offers several advantages. First, single stream means that you won’t need as many recycling bins in your building. Second, it simplifies the process for your employees because instead of having to determine which of several bins their waste needs to go in, they only need to decide whether it is trash or recyclable. Finally, single stream recycling can save time, as there is no need to separate different types of recyclable materials from one another.